Archive: Black History Month/ Who’s History is it Anyway? I’ve been dancing around this topic for weeks now trying to decide how to go about even bringing it up. In my own experience and education Black History Month has been a formality, something vaguely discussed in the shortest month of the year and not really touched on at all elsewhere. We talk about slavery, in extremely PC terms, we talk about civil rights and what amounts to cardboard cutouts of historic figures, then after 4 weeks we go back to “American” history. I wasn’t in school that long ago but aside from nervous glances from my classmates at the mention of slavery and realizing that my professor was hideously racist I don’t remember learning much about Black History that really stuck with me as a Black woman. In fact, at this time, I don’t think I was even really referring to myself as a Black woman. I grew up with confusing and conflicting ideas about what my race meant largely because of the way I saw or didn’t see people like me in the modern or historic world. A lot has changed for me personally since college and recent events are provoking more discussions about the Black experience in the United States. I think now is as good a time as ever to reexamine blackness and the way Black History is taught. For the sake of perspective here are some facts. In America, Black is a term used to refer to people with some degree of African Ancestry. It’s not an ethnicity (ethnic group like Cherokee Indian) or a nationality (the country you are from). As of the year 2000, African was the third most commonly recorded ancestry in the the US census. In 2010 the United States had roughly 320 million inhabitants, about 39 million of them identify as Black, which is around 12.6%. Black Americans live in every state, they work in every field and industry and have been since essentially the beginning of “Black History” in America. To some of you reading this these things can be either groundbreaking or redundant but I chose to include them because through a fluke of schooling or media or both, the history of black people most commonly reads as slavery, civil rights, music, sports and by some miracle President. Yes, these bullet points are true but they are reductive in the most shameful way. Slavery was abolished on paper in 1865. However, the first free settlement of Africans can be traced back to Fort Mose in Florida before 1738! The first Black man to graduate college got his degree in 1823. First Black lawyer? 1845. First Black doctor? 1847. By the time the thirteenth amendment was ratified Black women were getting degrees. 1862. There was even a Black owned and operated college in Ohio 1853. I didn’t learn any of this in school, which is ridiculous because this is American history. Black people have a rich history and have been contributing to society since there was a society to contribute to. 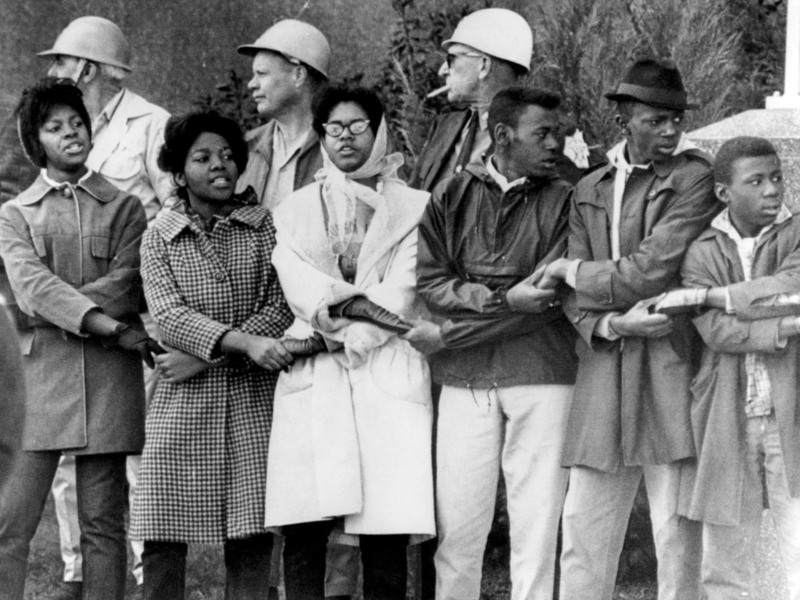 Our history is only synonymous with struggle because the same culture that we helped build has consistently found ways to invalidate and obscure us, an injustice that can be seen and felt in race relations today. I truly believe the call for civil rights that we as a nation are hearing now is a direct reaction to the lack of honesty in dealing with race in the past and if you can’t hear it, you aren’t listening. We can’t move forward without critically engaging our history. Black History is American History and should be told in full, not just summarized in 4 weeks. Fortunately for us and future generations, the internet exists. We have access to more information at the click of a button now than ever before and can virtually surround ourselves with whatever we’d like. With the ability to read and record things at will we are seeing a shift in the way that stories are told and participated in. We saw it during the Arab Spring in 2011, where drone strikes were being called via twitter and monumental protests changed the course of history. It happened in the United states too with the Occupy protests and now with Ferguson and Black Lives Matter. Mainstream media is no longer the only media and now that history isn’t only written by the victors, we can see the multiple narratives that exist in these social situations in real time. In light of this expanded outlook, more people are focusing on visibility and representation in a contemporary sense but I think that lens should be shifted to history as well. If we can take this change in perspective and apply it to Black History we can reintegrate the contributions of marginalized people into the narrative of us. Replacing outdated and obscured information benefits everybody by showing a more complete picture of Black Americans as people who can and have done amazing things; a valuable tool for those searching for a mentor and as a reminder to everybody that all of our stories count. Rewriting every textbook in America may be out of my control but I think it’s our moral imperative to educate ourselves and the people around us. Below, you’ll find a few well written sights I encourage you to click through to familiarize yourself with more Black history. I’ve also posted links to the Black Lives Matter movement and ongoing coverage of protests in Ferguson and nationwide for those of you interested in that continued activism. In that same vein I’m happy to announce that I am moving into a new role here at Fabulously Feminist as the editor of acquisitions for fine art practice. I’ll still be writing about feminism, politics, activism and visual culture but I’ll also be working to showcase art and artists that represent a diverse landscape of ideas and experiences. If you are or know of an artist that you think would benefit from our platform I encourage you to contact us and send in your submissions.